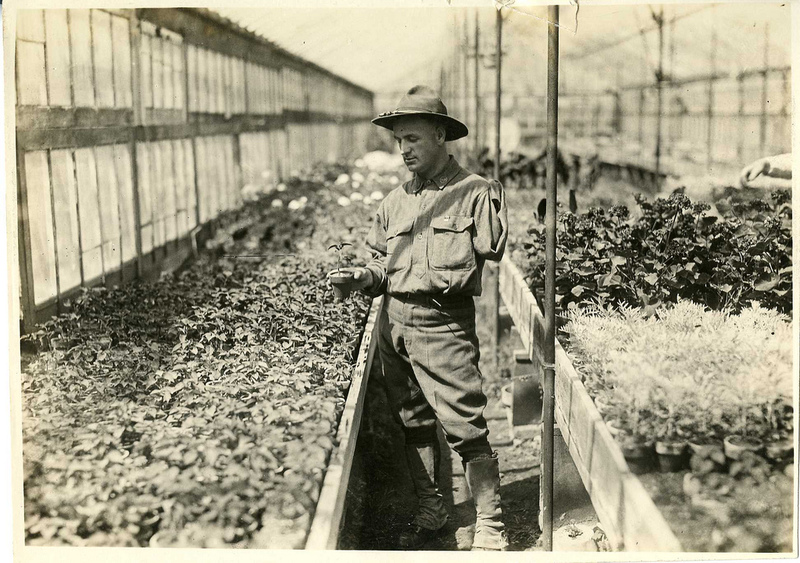 An amputee takes part in gardening as part of occupational therapy during World War I. Occupational therapy clients at Walter Reed General Hospital in Washington, D.C., participated in gardening as part of their rehabilitation. Here a man who has lost an arm works in a green house.